Children are among the biggest fans of Eurovision, tuning in to watch the show, memorizing the lyrics of their favorite songs and learning Eurovision trivia, but at three past contests, kids — or in one case, the adult child of the main act — have had their moment to shine on the Eurovision stage themselves. Lea Bundgaard, a then pint-sized nine-year old, performed with the Danish duo Kirsten and Søren, known internationally as “Hot Eyes” at the 1984 Eurovision. Lea is Soren’s daughter and she practically steals the show from him and Kirsten. She darts across the stage in a pink sweatshirt and white shorts, adds a scarf and cap to her outfit, and then comically tries to edge in a space for herself to sing. By the end she wins, triumphantly swaying and singing side-by-side with the pair as they sing “Wouldn’t You Like to Know”. The song took 11th place. Hot Eyes performed together for three Eurovision contests, in 1983 and 1988, in addition to 1984. In 1979 four children helped represent Spain in Jerusalem by performing alongside Betty Missigeo as she sang “Su Cancion” (Your Song) that won second place. The four children, Javier Glaria, Alexis Carmona, Beatriz Carmona, and Rosalía Rodríguez sit on the stage on either side of Missigeo, swaying as they back her up with a grant total of 157 “lahs” — a Eurovision record. Towards the end of the song the four stand and then each unfurl a sign that says thank you in either English, Spanish, French, or Hebrew. Ksenija Knežević was one of five women back-up singers in 2015 when her father Nenad Knežević, whose stage name is Knez, represented Montenegro. Ksenija Knežević, who at the time was a design student in Belgrade, helped her father to a 13th place finish with the song, “Adio”. It was Montenegro’s best finish since first performing in Eurovision in 2007. It had declared its independence just the year before, in 2006, making it one of the world’s newest recognized nations. Gili Netanel, was just 12 when he performed alongside Galit Burg-Michael, then 21, when they represented Israel in 1989. They performed as Gili and Galit and came in 12th place with a song full of Biblical references called “The King’s Road”. Gili opens the performance, singing in a clear, high voice and wearing baggy white pants and a striped black and white t-shirt until Galit descends a flight of stairs to join him. Fun fact: the following year the rules were changed for Eurovision, making sixteen the minimum age for a contestant. 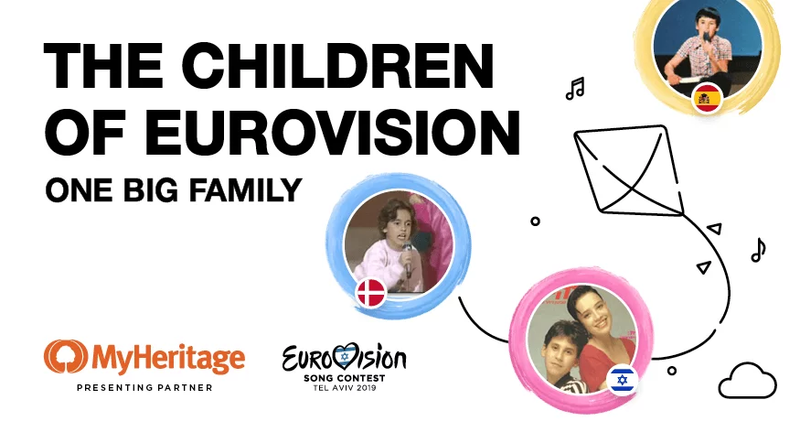 At Eurovision 2019, even if there are no kids on the stage, there will surely be kids at home — as there are every year — singing and dancing along and rooting for their favorites stars and hoping that one year, they might make it to perform at Eurovision themselves. Do you have a favorite memory of Eurovision as a kid? Let us know in the comments below! Jean-Jacques, who was 12 years old when he represented Monaco in Eurovision 1969!!! What about Nathalie Paque? She also joined Eurovision Song Contest 1989 when she was 11 years old. When I was growing up , Eurovision contest was one of the most important event on TV . That day was expected with so much excitement , the people in my town got together (every year) in a club to watch that remarkable event . I remember that , the TV (little box) was hanging so high that at the end of the show everybody was complaining with neck aches … but…during the amazing Eurovision Contest ,all the attention was focused on the contest … only the sound from the TV … not even a fly could be intruding with a magnificent event !